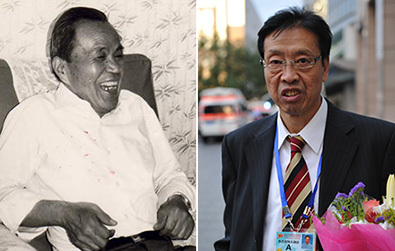 Does China's Tiananmen Parade Intimidate Other Countries? On September 3, China held a military parade in Tiananmen Square in order to celebrate the 70th anniversary of the end of WWII. It became the focus of the world's media coverage. Major U.S. media organizations, like The New York Times, Fox News, Associated Press, covered the event. However, according to a statistic analysis of Wang Guan, a researcher at Harmony Think Tank, the narratives of the reports came to the same astonishing conclusion: China is "showing its might", "showing off rising power" or "flexing military muscle". "The parade panders to a prickly strain of nationalism …Chinese public constantly reminded by state propaganda of China's past humiliations at the hands of foreign powers, especially Japan…such sentiments heighten fears abroad about China's intended uses of its newfound power, frustrating Beijing's attempts to market itself as a responsible member of international society committed to the common good," reads an article by the Associated Press. China is disappointed by the reaction of the international media. 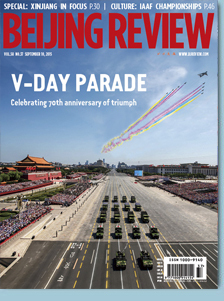 In China's eyes, the V-Day military parade "unleashed an anti-war signal, which can reinforce people's faith in peace and stability" (Global Times). At the ceremony, Chinese President Xi Jinping stated that China would stick to a peaceful rise with no intention to become a hegemonic power or expansionist, and would never impose the misery it went through upon other countries. So why is the parade being interpreted so differently by the Chinese and U.S. media? Perhaps, this is understandable given their somewhat opposing ideologies. What the U.S. wants to see is a balance of power in Asia. The U.S. cannot accept that China may take a leading role in Asia. The fact is that, China does not actually desire an Asia that lacks U.S. influence. Considering the numerous complex issues in Asia – such as North Korean nuclear matter – China cannot solve these problems single-handedly . Similarly, it is ridiculous to think that China could challenge the U.S.' dominance in Asia or in other parts of the world. Let's not forget that China itself already has a lot of challenges of its own to deal with on its road to domestic development. Feeding a whopping population of 1.3 billion people is not an easy task. Likewise, China has benefited from the mostly peaceful international environment in the past few decades. Today, the country needs harmony in order to build a moderately prosperous society by 2020. "China, in terms of territory, is about 40 times of the UK. In terms of population, it's about 20 times. Yet in terms of per capita military expenditure, China is only 1/22 of the United States, and 1/9 of Britain." said Chinese Ambassador to the UK Liu Xiaoming in an interview with BBC's NewsNight. China is a large country to defend, yet, its military expenditure is less than that of smaller countries. Why? As China follows a defense policy that is defensive in nature; it promises in its defense white papers not to strike first. Peace can be secured only when one is strong enough to defend oneself. China learned the lesson from its bitter history. In 1840, the country was a non-industrialized country, and was victim to invasions by other nations. As a result, the Opium War broke out, and, soon afterwards, China was forced to endure 14 years of suffering due to the Japanese invasion. Hence, China has learned that peace must not to be taken for granted. The Tian'anmen parade is indeed a powerful demonstration of China's military development. Yet, as former French Prime Minister Jean-Pierre Raffarin told People's Daily, China also need "to show that it's not bellicose."